This is a reprint from a story originally published on the Bhutan News Service. 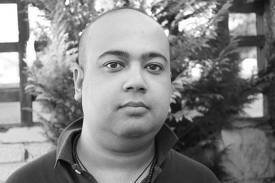 Prajwal Parajuly’s father is Indian, his mother is Nepalese and he himself is entirely a citizen of the world. Educated in the US state of Missouri, this not-quite-30-year old attended Oxford, and lives in both England and New York. He is already considered to be one of the best writers of his generation. 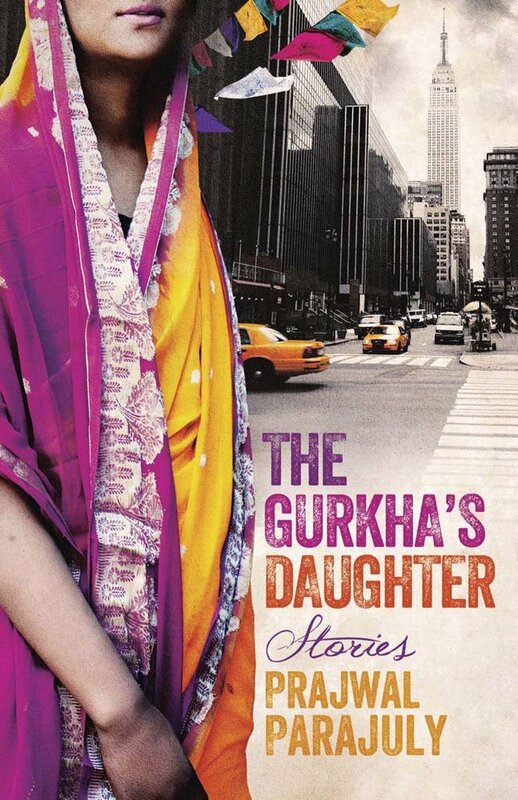 His new book of short stories, The Gurkha’s Daughter, is about the modern Nepali condition from a variety of perspectives, from Bhutanese refugee about to be resettled from the Nepali camps to wealthy widow and her wicked relationship with her young servant girl. This is an interview I conducted with him via email for the Bhutan News Service, after reviewing his book for the publication, The Aerogram. Q: You were born several years before the banishment of people of Nepalese descent from Bhutan. Do you remember how (and when) you became aware of the situation? PARAJULY: I had some sense of the goings-on, but it was only much later that I realized the enormity of what had happened. I had no clue that there were more than 106,000 people being herded out of Bhutan’s borders like they were cattle; I was under the impression the number was a lot lower. I visited some of my mother’s relatives who lived close to the International Organization for Migration building in Damak, Nepal, and that’s when my curiosity was first piqued. I started reading up on the issue, and it was a revelation. After that, I decided to visit the refugee camps in Nepal. Still unsatisfied, I visited Bhutan. Q: Where did you go when visiting Bhutan and what were your general impressions? How did people react to your ethnic heritage there? PARAJULY: I went to Bhutan in the summer of 2010. It was interesting– on the surface, everything seemed lovely. Get people to drink a little, and the stories come tumbling out. The Nepali-speaking people have been scarred. They live in fear. It’s tragic. Q: What was your experience in the camps? PARAJULY: Oh, yes, you don’t want to visit the camps. You just don’t. Besides the poverty, the terrible living conditions (I say this despite being someone familiar with poverty in South Asia), the constant fear of their lives and dignity being threatened, what’s heartbreaking about the camps is the issue of the people there being non-contributing members of society for close to two decades. Imagine that—no job, nothing to look forward to, living the same life for days, months and years. It’s horrible. Q: What made you want to treat the situation in your story, No Land is Her Land? Have you met people like Anamika, the main character in your story? PARAJULY: Anamika came about because I wanted to write a strong woman into the story. But strength has its limits. Anamika has been through a lot—just like many women who lived in the camps for years. I did come across women similar to Anamika. They are everywhere—in Denver, in Vermont, hiding in Assam, and in Aberdeen. Q: Your story deftly covers the complexities and deep emotion of the situation. While Anamika feels “if her country didn’t want her, she didn’t want it back.” she still allows her children to learn Dzonghka in the hopes they might be repatriated. And then there is the issue of her estranged, opportunistic Nepalese husband who reappears so he, too, can be resettled in the US. Do you feel that this is an issue that will ever be resolved? Sometimes I think that the new generations will bring fresh perspective on it, and other times I feel a bit hopeless. You? PARAJULY: I feel it’s a hopeless situation. I don’t think it’s an issue that can be resolved. The best Bhutan can do is – I hope it’s okay for me to invoke the death of a person who’s responsible for so many deaths – to hope for the fourth king, under whose watch the ethnic cleansing happened, to die and for the current king to apologize about what happened. He could also allow those who want to return to go back. I doubt there will be very many people wanting to go back. Hasn’t all their land been reallocated, though? That’s the best the country can do–that’s how sad the situation is. But it doesn’t need to worry about that. It invented Gross National Happiness. Hurray. Q: Do you think India could have or should have played a role in the Nepalese situation, given how important an ally they are to Bhutan? PARAJULY: Yes, I think India could have played a role. I think India could have put a stop to it all. Why it decided not to intervene is beyond me. Perhaps because it didn’t want to alienate the one true ally it had in the region? Q: Why is it important for non-southeast Asians to learn about the region, do you think? It’s hard to explain the situation to people who aren’t familiar with, or don’t care about, that part of the world. PARAJULY: I think it’s time we realized there’s more to this beautiful kingdom than Gross National Happiness-the last Shangrila-this is a peaceful Buddhist state claptrap, there’s a country that has gotten away with far too much. The Western world is too focused on Syria and Gaza and Sudan to worry about what went on in Bhutan.